Koyo is proud to introduce an all aluminum performance radiator for the 1970-1978 Datsun 240Z, 260Z, and 280Z with manual transmissions. Koyo engineers have designed some unique features into this brand new model. Unlike the traditional downflow style of the OEM Datsun radiator, the Koyo performance radiator is manufactured with a robust 53mm crossflow core design. Another unique feature is the integrated 1/8” NPT female accessory fitting located near the top inlet tube. This fitting (supplied with a threaded plug) will accept a 1/8” NPT temperature sensor supplied with most aftermarket temperature gauges, or may even accept a coolant line for aftermarket turbochargers. Every Koyo All Aluminum Performance radiator is engineered in Japan, precision welded and polished by hand, and are a direct fit in the vehicle’s factory location for an easy installation. Koyo’s global reputation for high quality cooling products begins with the selection of the finest materials. Koyo privately owns each factory, never outsources their manufacturing and overseeing each stage of production using Japanese made equipment throughout the production of each radiator. 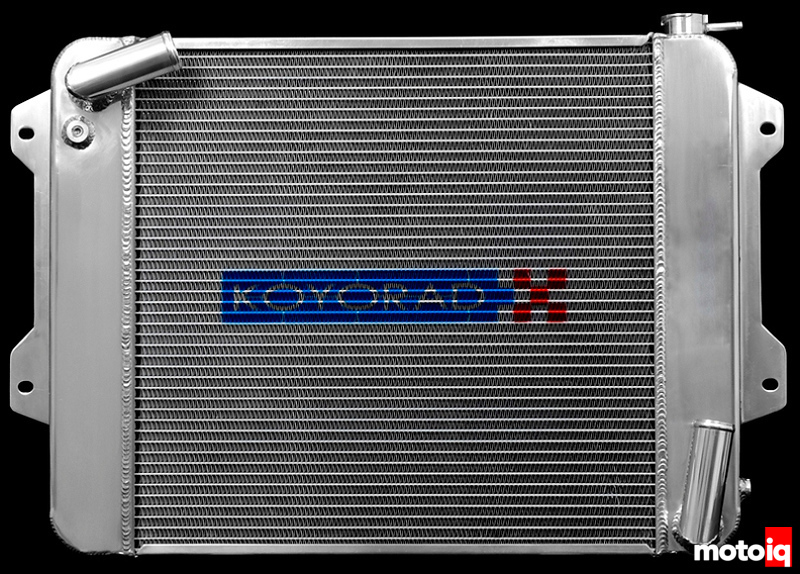 Koyorad All Aluminum Performance Radiators are hand assembled, precision TIG welded, and triple pressure tested throughout the manufacturing process contributing to reliability and uniformity. The superior quality of Koyorad all aluminum radiators will take your vehicle’s engine performance to the next level.